Can cultural tourism clean up Colombia’s image abroad? Once known for brothels and drugs, an old quarter of Cartagena is experiencing big changes as part of a nation-wide cultural makeover. The stern blacksmith turns to us and shows off the iron-forged scrolls in the dim light of his workshop. He walks down the street from his shop and points out his work: cages, door knobs, gates. He has a reputation when it comes to safeguarding the people of Getsemaní, a working class neighborhood in the old town of Cartagena, Colombia. But the thing is, safety is not too much of a worry in the neighborhood these days. The tourism-driven transformation of this neighborhood reflects the challenges that have come with this South American country’s changing image. Some travelers still come for the easy drugs and prostitutes that used to line the neighborhood’s main street. But more and more, travelers are visiting to meet people like Muñoz and soak up the culture springing up around his workshop. “And I have no problem with them,” he explains from a plaza outside a worn out yellow church in the center of his neighborhood, where music, soccer games, and street food take over the neighborhood each night. With $27.8 million in investment this year, Colombia is dressing the city in tourism promotion. The amount invested in Cartagena’s tourism scene outweighed investments in infrastructure and industrial competitiveness, according to figures from Colombia’s Ministry of Commerce, Tourism and Industry. All that money comes with a new message too. To combat it’s reputation for cocaine and conflict, Colombia is now promoting the imaginative, literary machinations of national icon Gabriel García Márquez. In April of this year, Colombia announced its new slogan: “Colombia, Magical Realism”. Del Morris, a Pacific Northwesterner in his late thirties, escaped to this city from the cold, oil sand country in Northern Canada, where he works as a welder. He came searching for travels that mirror the magical realities Colombia promises. Cartagena had just what he wanted. 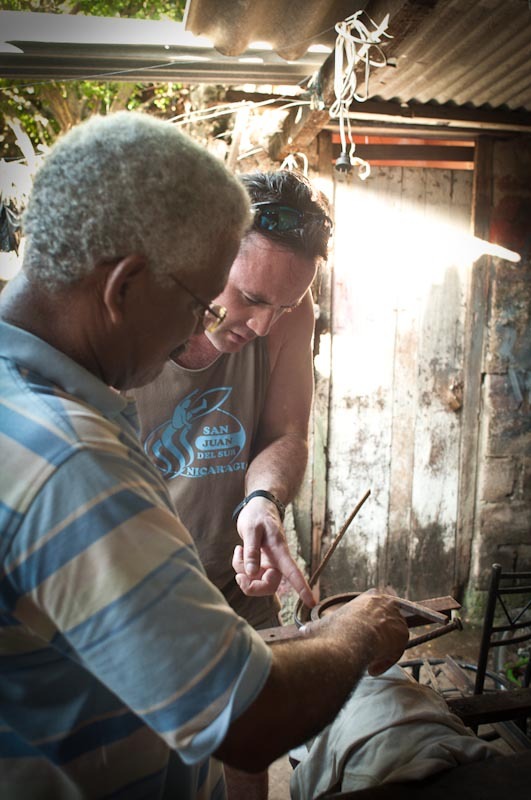 “This is a place where I would love to learn ironwork,” Del says, pointing toward the iron scrolls that decorate gates, cages and door features around Getsemaní. Tourism has helped to boost Colombia’s economy and image over the past decade. 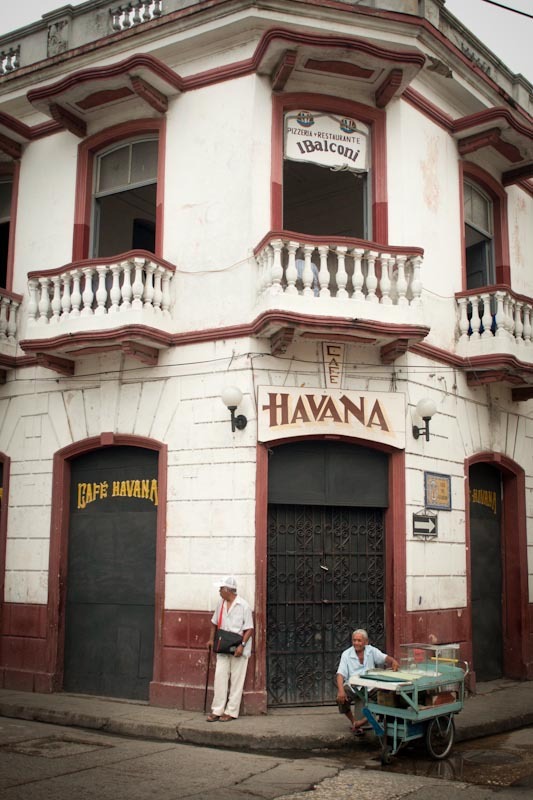 Much of the transformation is thanks to former President Alvaro Uribe, whose series of controversial hardline security policies helped turn cities like Cartagena into safe destinations for travelers. Money is only the first step though. Cristian Ahumada, director of Ciudad Movil, an arts & culture workshop in Getsemaní, says that there are a lot of foreigners and travelers who come to participate in the neighborhood’s flourishing cultural scene. He thinks the Getsemaní has the right ingredients to change Colombia’s image. “It wasn’t always like this. It used to be considered a really dangerous neighborhood.” says Ahumada, who grew up in the city. “But now the main street is filled with hotels and travelers. But it’s still a delicate issue, he says. According to some residents the neighborhood, known for its sleepy streets drenched in beautiful colonial architecture, is in danger of being overrun by the wave of travelers. “There’s a local population that isn’t in favor of it. Lots of people I know complain about gentrification,” adds Ahumada. The other problem, of course, is that there are still foreigners who come to Colombia’s Caribbean city for its vices. In April of 2012, a scandal broke out when 13 C.I.A. Secret Service agents enjoyed a night of drunken debauchery involving prostitutes and booze during a visit by President Barack Obama for the Summit of the Americas. Cartagena taxi drivers report that they still encounter plenty of tourists in search of drugs and prostitutes, not just beaches and historical sites. Prostitution is legal in Colombia in designated tolerance zones. But it still taints the country’s image. Ahumada says that for the most part, however, travelers who come to his city join in on the throng of arts, music and culture that gives it its spirit. “It’s a point of cultural exchange,” he says. Inside Ernesto Muñoz’s shop, Del Morris picks up the blacksmith’s scrolls and admires them. The forge is hot, and sweat pours off hard, serious faces. Muñoz is proud of his work. The pounding of the hammer against the anvil starts up again. The Canadian welder says he feels inspired after visiting Ernesto’s forge. He wants to bring back what he learned to Vancouver and someday start his own blacksmithing shop. Visitors like Morris may be the key to nurturing Getsemaní’s art, music and craftsmanship. But if tourists make different choices with their money, the local culture might just fall prey to gentrification and disappear.